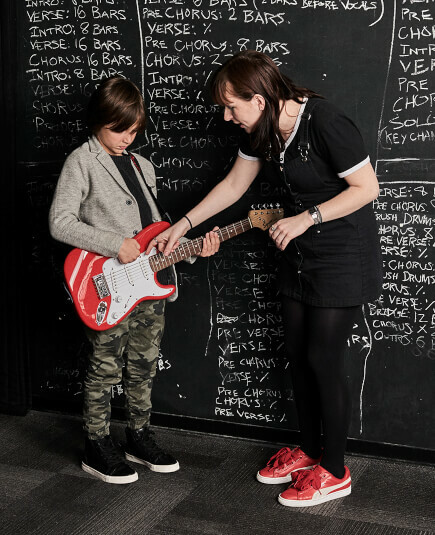 School of Rock The Woodlands’s music teachers are experienced musicians devoted to helping students attain musical proficiency. From singing to drums to guitar, our The Woodlands music instructors inspire and teach students to perform live. Adrian Carpenter has been married to her husband, KC, for 20 years. They have one daughter, Kay, who started at School of Rock in a summer camp in 2013. Immediately after the camp, she wanted to enroll in the full program. Adrian has been involved with School of Rock from every aspect- as a parent, an investor and an employee. 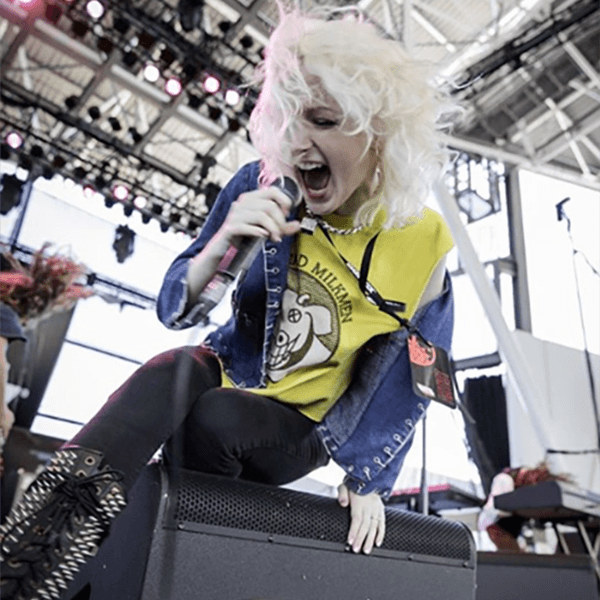 Her goal is helping others find their passion and she feels that music is an incredible outlet. Adrian’s favorite bands are The Eagles, Rush, KISS and anything from the 80s. In her spare time, she likes to cook, attend concerts and sporting events with her husband, and spoil her dog, Nola. She is the General Manager at School of Rock The Woodlands. 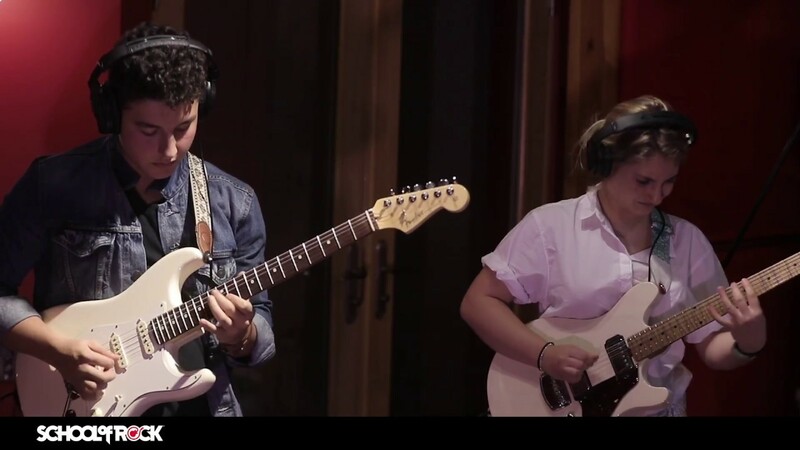 Nick Pastrano is a multi-instrumentalist, and a recording and international touring artist who jumpstarted his musical career on the classical guitar at 12 years old. 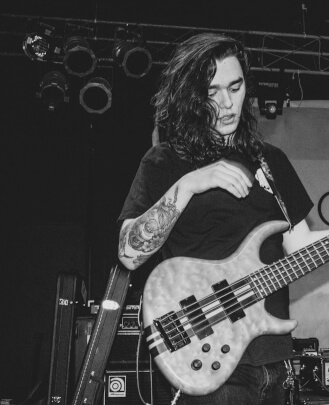 By 17, Nick found himself in a band that had just started establishing themselves in the Houston area, and eventually started branching out into the rest of the country and then some. 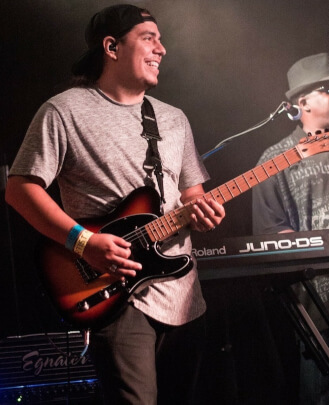 He has since chosen to focus on establishing himself as more than just a guitarist, but a recording artist who is proficient in the drums, bass, keys and ukulele. Nick is a passionate teacher. Nick is the great nephew of Jim Morrison from The Doors. He is a guitar teacher, bass guitar teacher, drum teacher and piano teacher at School of Rock The Woodlands. Born in Scotland, Connor Farmer moved to America from Azerbaijan when he was 14. He started playing guitar as a convenience to his mother. Since the family would get a discount if both of the Farmer boys enrolled in guitar lessons, Connor went along to give it a try. After a year of classical guitar training, Connor was hooked and went on to learn other styles as well. Although no one else in his family carried on with musical education, he had found his passion. 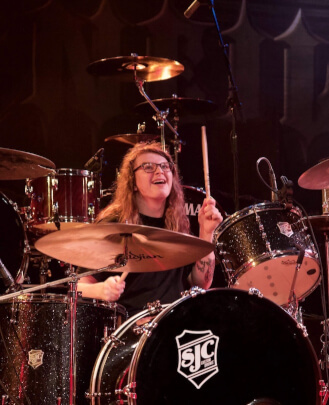 In high school, Connor played in several different bands, playing for school theater productions, local events and Battle of the Bands competitions. 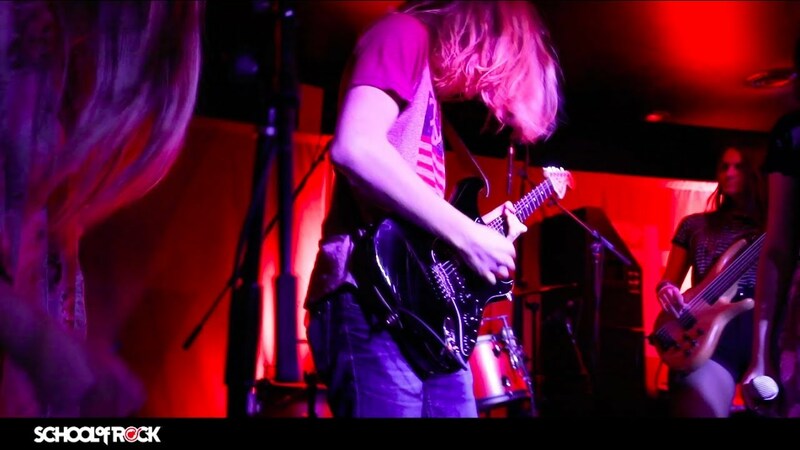 A former School of Rock student and now instructor, Connor loves the social interaction and opportunities he has to play music for an audience. He hopes to be a positive example to his students and allow them to grow, both musically and personally, just as he has within the program. 90s grunge music is what influences Connor. His favorite bands are Alice in Chains, Sound Garden, Pearl Jam and Nirvana. He enjoys building his own guitars from parts. He is a guitar teacher, bass guitar teacher and piano teacher at School of Rock The Woodlands. 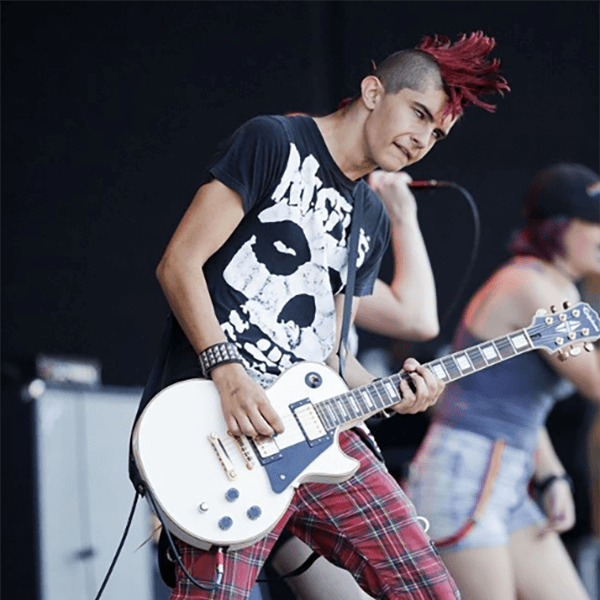 Alec McCrory started playing guitar when he was 16 years old. He is currently in two bands: Red Bay and Lip Service. Red Bay has opened for numerous bands in and around the Houston area such as Skid Row and Warrant. His favorite bands are Highly Suspect and Alice In Chains. Alec started out as a student at School of Rock The Woodlands. He is a guitar teacher and bass teacher. Hayden Benson is our school’s primary drum teacher. He is a School of Rock The Woodlands graduate himself. Hayden is an active member of the Houston music scene and a professional musician in the band Red Bay. Hayden has had years of experience playing and taking lessons on various instruments. Hayden loves to play, sing and teach music of all different kinds and specializes in alternative genres and performances. Hayden’s biggest musical influence is Green Day. 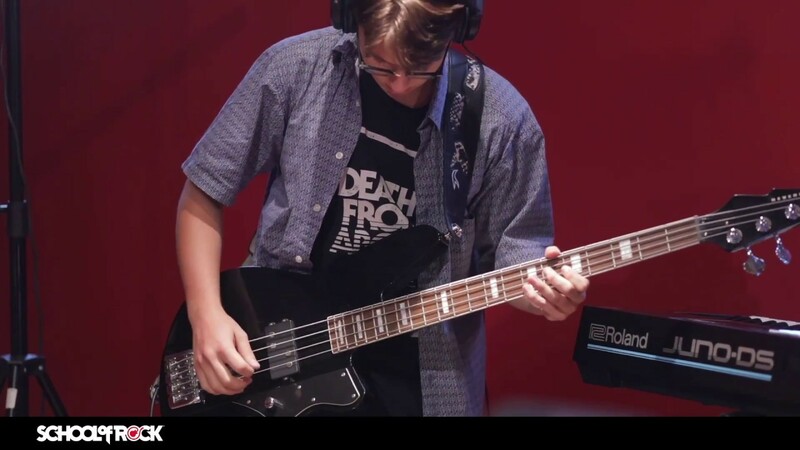 He is a drum teacher, guitar teacher and bass guitar teacher at School of Rock The Woodlands. 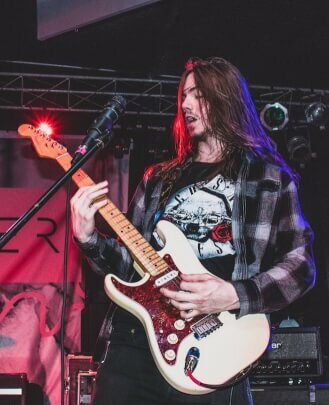 Jaden Gann started off as a School of Rock The Woodlands student in April of 2013 and played in performance groups such as The Beatles, Pink Floyd, Red Hot Chili Peppers and David Bowie. Her biggest influence is Led Zeppelin. She was in a cover band called Zeppelin’s Last Stand. 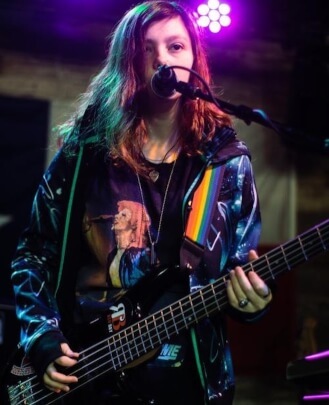 She is a guitar teacher and bass guitar teacher at School of Rock The Woodlands. Molly Camacho is a vocalist and piano player who has a passion for teaching, and especially enjoys working with children. 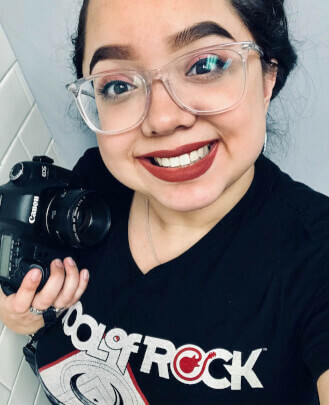 With years of classical vocal training and traditional piano instruction, she has been happily teaching at School of Rock The Woodlands for over three years, and always enjoys singing and playing with new people. 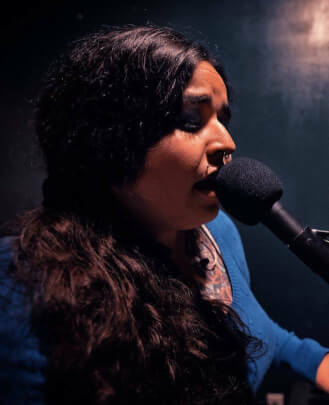 Molly currently sings and plays keyboard in a Cypress-based blues band called Black River Revival. 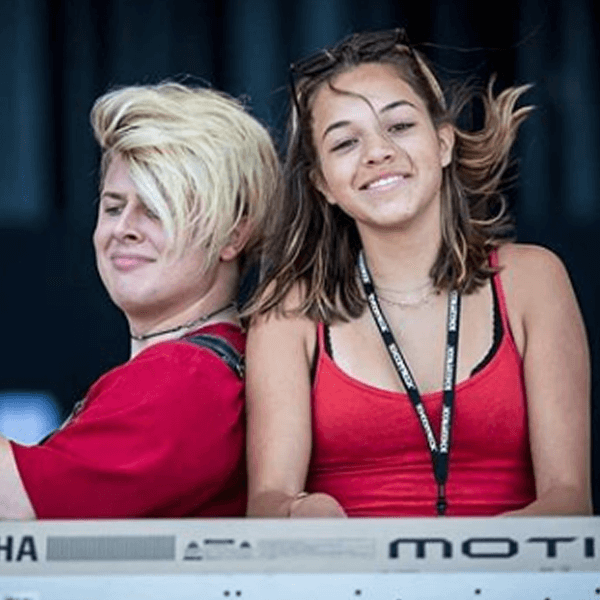 She is a vocal instructor and piano teacher at School of Rock The Woodlands. Kim Pastrano has been married to her husband since November 2018. 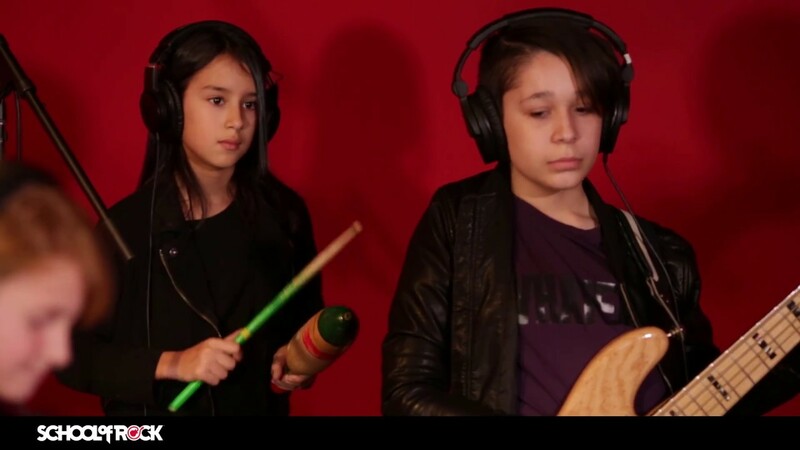 They have a little girl named Lidia who also loves hanging out at School of Rock. Kim dabbled in the musical arts as a kid but found it wasn’t her thing as she is more of a visual artist. She runs her own photography business and is a lifestyle photographer who loves to do weddings, births, parties and shows. She has been working for School of Rock for three years. 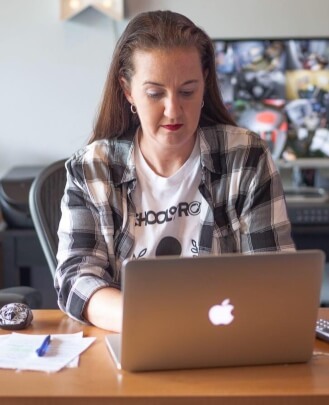 She started at School of Rock Sugar Land and moved to School of Rock The Woodlands as the Studio Coordinator. 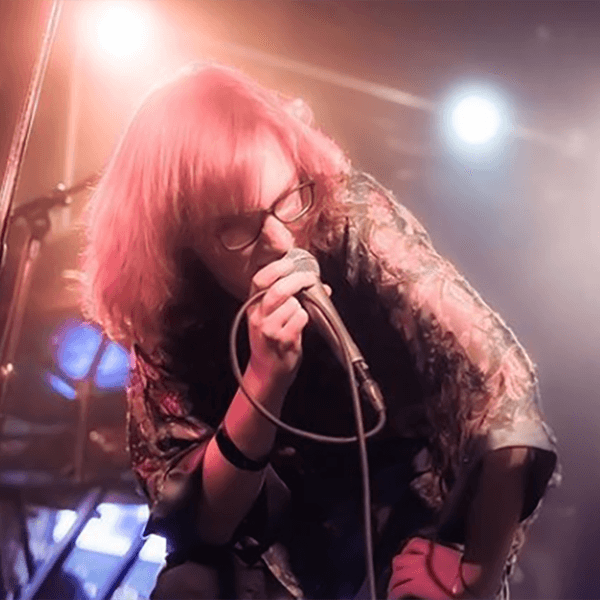 A third-generation musician born in the Cleveland, Ohio, area, Joey Scale has continued to inspire and educate for the last 15 years. He holds a Bachelor of Music with a jazz emphasis from Baldwin-Wallace Conservatory, as well as a Master of Science in Entertainment Business from Full Sail University. 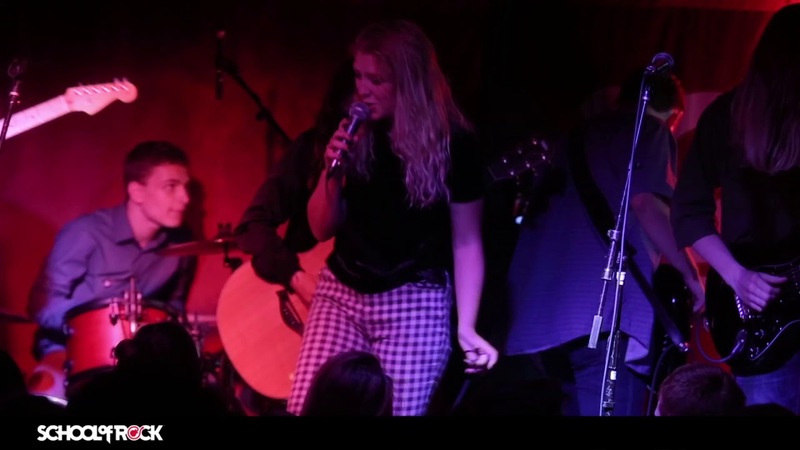 As a performer, he has studied and performed extensively with Josh Ryan, Greg Banaszak, Jim Wall (Big Brother and the Holding Company), Valerie Naranjo (the Saturday Night Live Band) and Dave Hershey (Logan Wells’ Patsy Cline Revue). He has had the privilege of sharing the stage with many national acts, including rock bands, jazz ensembles and symphony orchestras. He currently writes, records, and produces avant-garde percussion and piano music under the Motion Music label. As an educator, he currently directs the middle school instrumental music program (band, percussion ensemble) at St. Anthony of Padua Catholic School in The Woodlands, TX. He is a member of the National Association for Music Education (NAfME), as well as the Tri-M Music Honor Society. His current and former students have had great success. 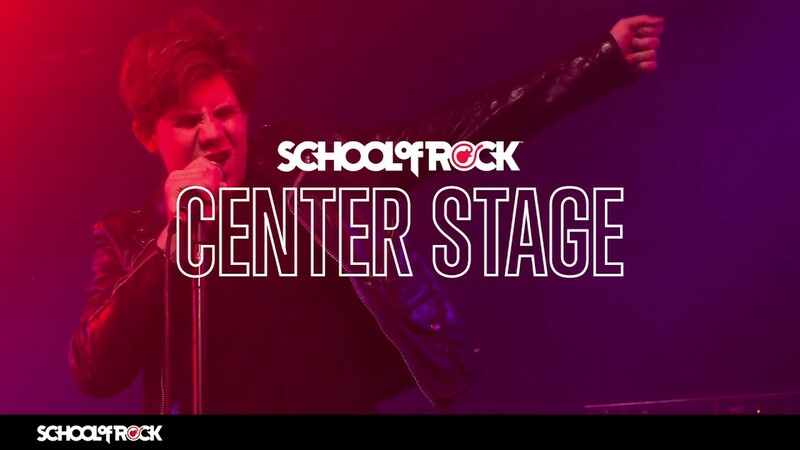 He has taught several former School of Rock AllStars, as well as several students who have performed as part of the School of Rock National Tour. 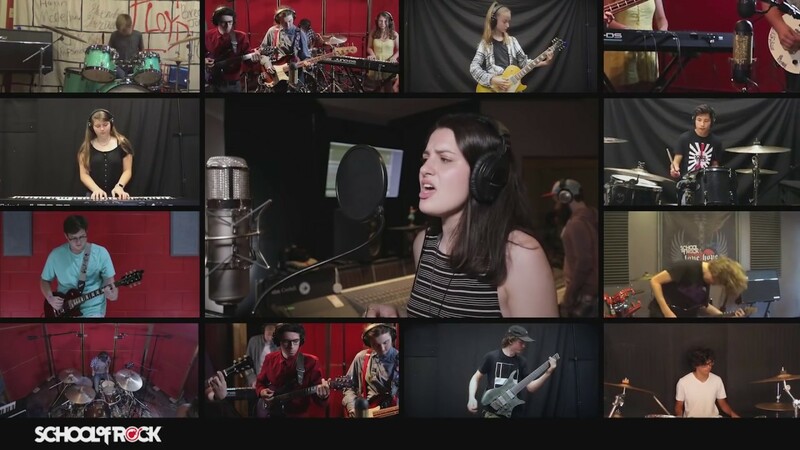 His current and former students have had both regional and national success as recording artists and performers, including being signed to national record labels and winning national music competitions, the most recent competition being the 2019 High School Rock-Off (held at the Rock and Roll Hall of Fame in Cleveland, Ohio). Several of his former students have gone on to study at some of the nation’s top music colleges and conservatories. He currently lives in Conroe, Texas with his wife and two children. 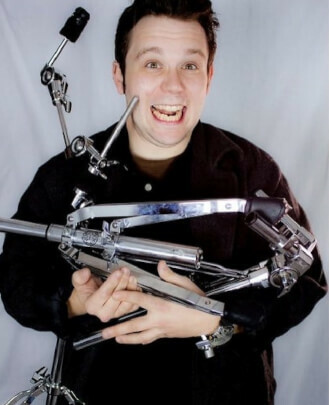 He is a drum teacher and piano teacher at School of Rock The Woodlands.